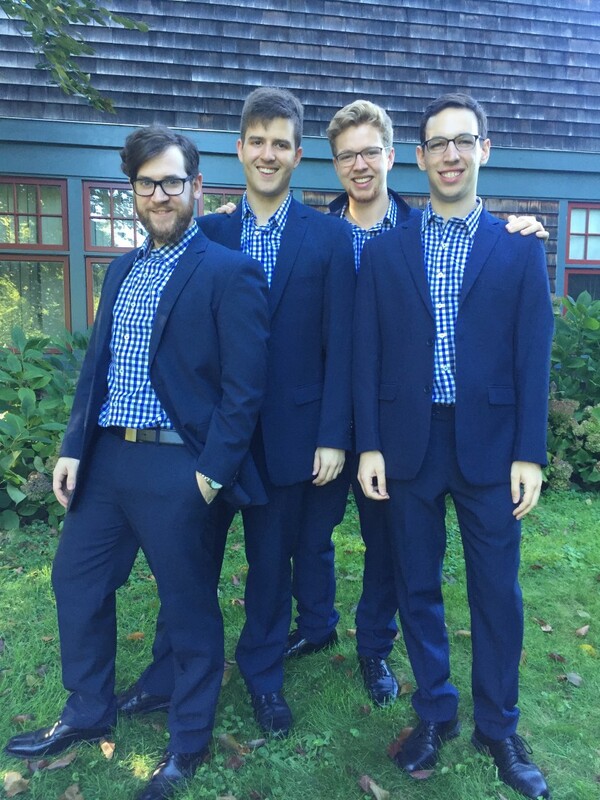 "Swingin' On a Star" and "You've Got a Friend"
Daily Special is a barbershop quartet based in southern New England, bringing silliness, enthusiasm, and authenticity to every performance. They love to sing for all kinds of events, and they can’t wait to perform for you! There's nothing like the sound of excellent vocal harmony! 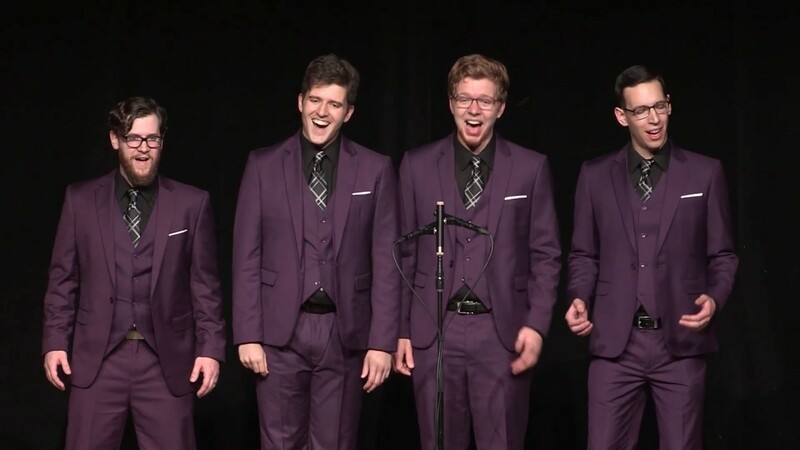 A great a cappella performance just makes people smile and puts them at ease. 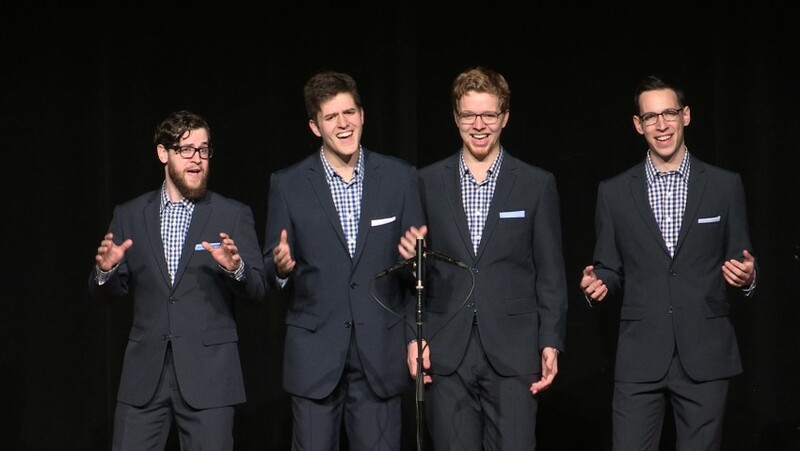 But the best thing about hiring a barbershop quartet is the versatility you get--no instruments required, and we can set up just about anywhere. Need a group to move from place to place during a busy event? We can do that! We're also happy to do more traditional performances from a stage or similar area, with or without amplification. Daily Special loves performing in formal settings and informal settings alike, and we are known for our warmth, humor, and sense of comfort with all kinds of audiences. For instance, older folks often appreciate our attention to old-fashioned barbershop singing, while younger people might be drawn to more contemporary sounds. Whatever your needs, we will do our best to tailor our song choices. Daily Special (under their previous name, Last Chance) had the honor of representing the Northeastern District (NED) of the BHS at the International Youth Quartet Contest in Nashville, TN in 2016. 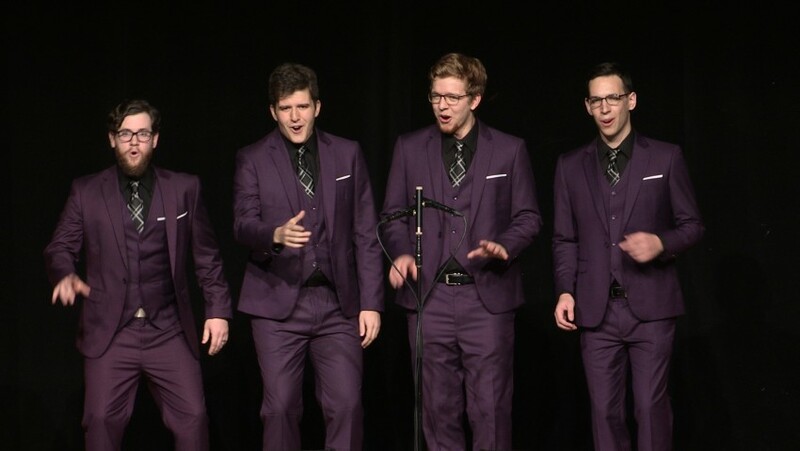 They also won 4th place at the 2017 BHS NED quartet contest, including an “audience favorite” award for their original arrangement of “It’s You I Like” from Mr. Rogers’ Neighborhood. The quartet was founded in the fall of 2015 when Cay (bass) and Antonio (tenor emeritus) were looking for singers to form a new youth quartet. When they met Chad (lead) and John (baritone emeritus), they knew they'd found a match! The four quickly found that their connection was deeper than just music--they soon became close friends. 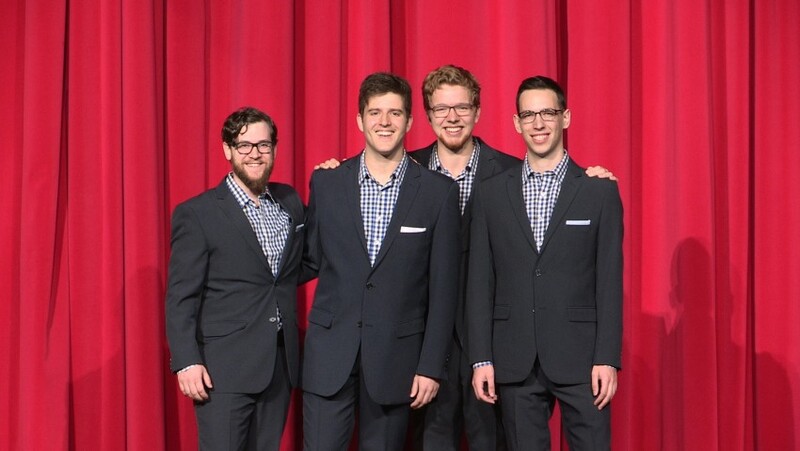 When Antonio was called away to follow his dream of working for the Barbershop Harmony Society (BHS), the other three re-formed with their friend Isaac (tenor) in 2017, completing their foursome. Months later, John moved to New Jersey to join the Salesians of Don Bosco, a Catholic fraternal order. Ben (baritone) joined soon after. The members of Daily Special are committed to making music with authenticity, positivity, and compassion. They love to sing for all audiences, and they can’t wait to perform for you! "If I Didn't Have You" from Monsters, Inc.
No equipment needs--we can sing anywhere!